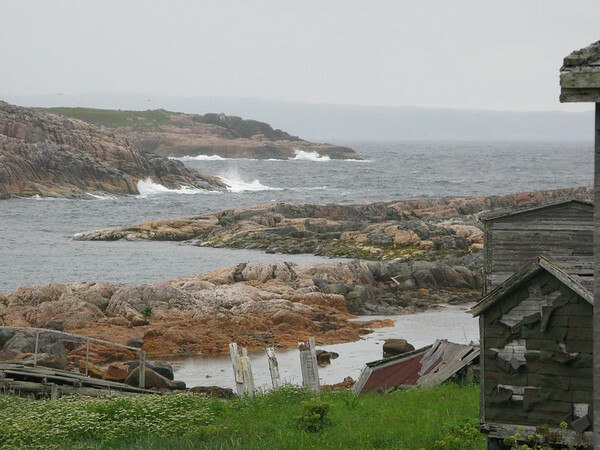 An hour on a small boat in not too calm seas brings us to the centuries old fishing villiage of Battle Harbour, now a UNESCO World Heritage Site. We walk around for hours not seeing another person, and it is difficult to imagine that this was once the unofficial capital of Labrador. 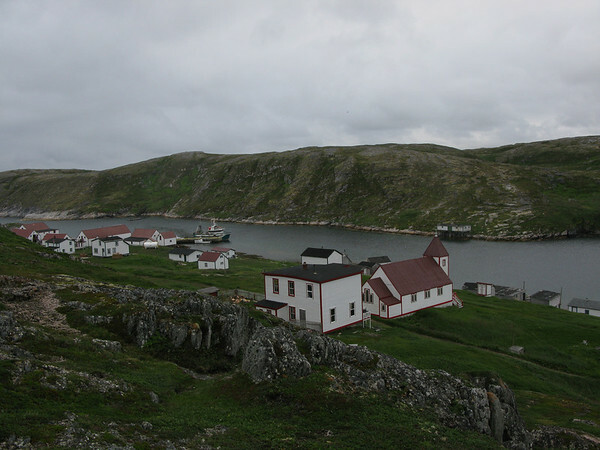 Battle Harbour was an active fishing village from the 1770s until the east coast fisheries closed in 1992. Getting to Battle Harbour requires a long ferry ride and several days riding on remote roads, so we feel like we are on the far edge of the earth. Once we arrive, we feel cut off from the outside world, with no phones or Internet. It almost feels like we have stepped back in time, since many of the buildings are restored to the way they would have been in the 1700s, 1800s, or 1900s. We first heard about Battle Harbour from the friendly folks at the Labrador Visitor Centre in L’Anse-au-Claire. We were sold on a trip to Battle Harbour when they told us that unlike the rest of Labrador in July and August there are no vicious Labrador flies – a tiny black fly that takes a chunk out if you when it bites making it impossible to be outdoors without protection. After several days of riding in clouds of flies we were ready for a break! 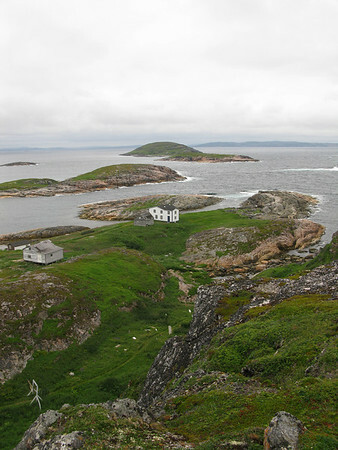 Amenities at Battle Harbour range from the dorm style bunkhouse heated with a wood stove to cottages and homes. Some buildings have electricity, but others are more historically accurate, with oil lamps and wood stoves, and all are furnished in the traditional Newfoundland and Labrador style. You can self-cater or join the staff for wonderful home-cooked meals and post-dinner entertainment in the Dining Hall. We took advantage of dinner and enjoyed roast turkey, mashed potatoes, peas, salad with partridgeberries and bakeapple cheesecake for dessert. Partridgeberries and Bakeapple berries grow wild all over Newfoundland and Labrador, and are still a common component of the diet here. The staff provide a history-filled tour of the town every day. Our guide was Cyril, who grew up and lived in Battle Harbour for much of his life. Hearing from him about the changes brought by joining Canada, by the Snowmobile, and the collapse of the Cod fishery was fascinating – huge changes in less than half a century. We were fascinated by the huge salt-house, which stored 1.4 million pounds of salt for preservation. For centuries, until the advent of freeze-drying, drying and salting fish was the main method of preservation. We reflected often on just how lucky we are to have been born when and where we are. We spent hours exploring the old buildings and hiking around the islands many trails. We have included a few photos of some of the stark vistas of the surrounding landscape. We were very happy to spend two nights at Battle Harbour, and could probably have spent longer soaking in the isolation there. For more information, check out the Battle Harbour Website .